Here you find all articles about kitesurfing, 2014 kitesurf equipment, 2015 kitesurf equipment, north kites, best kites and loads more. 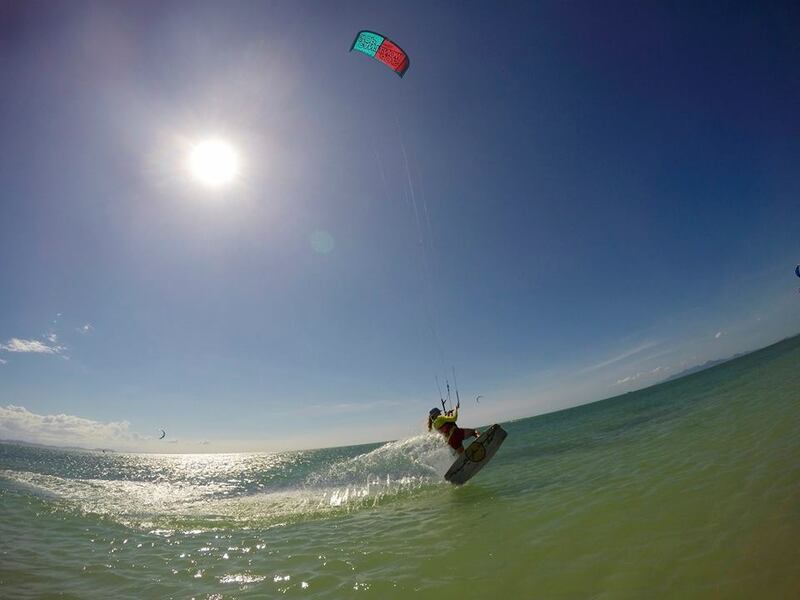 Even there is no summer temperature anymore the October is still perfect for kitesurf lessons. 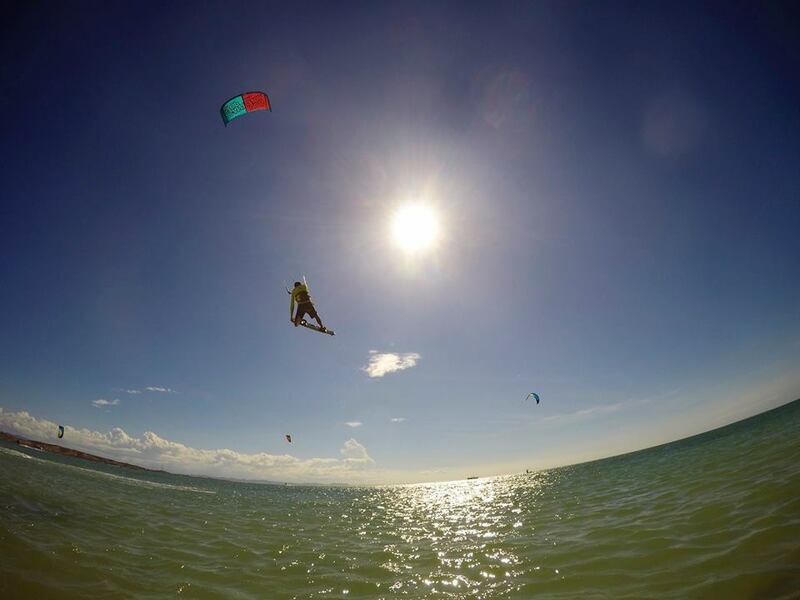 There is always wind so lake garda is a nice spot for kitesurfing and other water activities. Especially in October we have most of the time strong north wind. So the people enjoy the kitesurfing. We provide you with wetsuits, life jackets and shoes ( for gloves it´s not yet cold enough ;) ) so you feel still comfortable if it´s getting colder while having long sessions in the water. We bring you with the power boat directly to the kitesurf spot. You follow the wind and there is a lot of space around you. You learn immediately how to react in deep water and advanced riders are lucky to have the wind shuttle. Even there´s only time for a long weekend or a few days, next to our kitesurf school Windriders is the nice Hotel Villa Romantica which have great offers for this month. We have a lot of different courses you can choose. Just contact us if you want a tailored offer. Every year in October the next years kites start to become available for testing. It is the time that I hold my breathe and hope that they kept what was good and improvement what needed improving. I have tested the different kites on Lake Garda and the Vegas also in Dakhla and Venezuela. Yes it stayed the same :)) It is very stable, responsive, nice bar pressure, good relaunch, good depower. Everything we are looking for in a kite for beginners and free riders. They improved the colours with some nice designs. The bar is not yellow. The safety leash is yellow, the kites have more colours and text. But that what counts is the performance and it is great! I personally really liked the vegas of 2012, liked the 2013, really liked the 2014 so I was keeping my fingers crossed for the 2015 model. The kite still feels like a C kite in unhooked performance and bar feeling. But it is a little bit more gentle. You feel this in how it response to you steering and how it reacts on gusts in the wind. Before I would only recommend the Vegas for advanced riders. Now it think also intermediated riders can have a lot of fun with it. This year they skipped size 14 and added the 14,5. Which is great for lake Garda. Still the low end doesn't come close to the Dyno or Juice. This kite needs the 5th line and relaunches perfect with it. The 2014 model was the most favourite light wind kite off all our clients. From beginners, intermediated to advanced. Everybody loved this kite. We have 3 15m and 1 17 m. On the light wind days this where the only kites you saw on the Lake Garda. It was a magic kite that would fly in 6 knots and ride in 8 knots. The 2015 model is completely different. the bridles are attached to the struts and the wingtips got more round in my idea. Last years model was amazing in relaunching. It would be sitting on the edge of the windwindow, you would take a streering line to bring it up and it would go up. Without any back stalling. Well that is a completely different story this year. In light wind the kite doesn't want to go to the edge of the windwindow. (not even with using the 5th line) and when you have it their it tries to backstall. When you have it in the air it tries to fall out of the air. And when you ride it has no power. The 2015 model starts to fly with 8 knots and ride with 10 knots. Norths description/ warming of the kite says it is a really technical kite. So probably it would take some time to get used to it and make use of it's full potential. This is something you can ask from advanced riders but not from beginners. So for us the Dyno has become less magical. The dyno comes in 2 sizes 15 and 18 m.
But there is a new light wind model: The Juice. The juice comes really close to how the Dyno was last year. The only negative point is that it has less struts and it likes to so drown more when it is lying on the trailing edge in the water. But with some powerfull swimming and shocking the powerlines you do get it out of the water and once you have it on the edge it comes up really nicely. With the riding the power is good. It has a fast response and nice bar pressure. I think our students will like this kite a lot on the light wind days. The Juice comes in 2 sizes. 15 and 18 m.
There are so many kites on the market that it is difficult to decide which one to take. Always keep in mind: What is your level now? Which level would you like to reach? Where will you be mostly kiting? These 3 points should help you lead to the right decision for choosing the best kite. When you limited your choose down to 2 or 3 models come to us and test them. That is the only way to find out wich kite you like! The Evo is the kites for freeride. Hit a little wave, throw in some tricks. Crash it as much as you like. With this kite you can do everything. It is build to last and will be delivering in all conditions. The Vegas this year has some new colours and it has been redesigned by Aron Hadlow. When you fly the kite it feels like a Vegas straight away. It is super stabiel, great power en great unhooked performance. This is the kite with which you can do any trick. From big air, kiteloops, to unhooked tricks. We have it already in our centers ready for testing. Come and give it a try! North kiteboarding has had the best bar on the market for the last years. And luckily they haven't changed the winning concept. A big improvement 2015 quad bar compared with the 2015 quad bar is that the safely attached is to 1 front line and the kite completely flags out. The 5 line bar has the safety line of course still on the 5th line. Like last year one bar can be used for all sizes. All you to do is flip the corners of the bar in or out and you have within seconds your bar ready for a different kite size! The North 2015 depower/ power systems works great. Simple pull is less power. Pull, move out of cleat and let it slide up is more power. It works in all situations fluently. If you like your bar to stay closer to you you move the whole depower cleat up or down depending on your wishes. This makes the North 2015 bar great for girls and children who have shorter arms. Safety is one of the most important aspects when selecting my own kitesurf equipment and the equipment for our Wind Riders Centers. For that reason next year only new North kites in our centers. Both the north safety systems the chickenloop and the leash release are red and work by pushing away from your body. The pressure needed is minimum and you also need no tension on the kite lines. This means it works in 100% of the situations and complies with the french norm. are you missing a topic? Send us a message with your question or topic that you would like us to write about.